Widely known for their song ‘Pompeii’, Bastille formed in London, England in 2010 as just a project by singer and songwriter Dan Smith. A little while later Dan Smith recruited new members that include Chris ‘Woody’ Wood, Kyle Simmons and Will Farquarson to form the popular Alternative Rock/Synthpop band that Bastille are. With a sold-out tour ahead of them, and a single ‘Pompeii’ making number 2 in the UK top 40 everything seems to be going the right way for Dan Smith, the creative vocalist and former of Bastille. That said, it is hard to work out why Bastille’s songs have made a greater connection with listeners than other like-minded songwriters. Bastille also made number 1 on Official Steaming Chart at the beginning of march, knocking Macklemore’s single, Thrift Shop down after being at number 1 for four weeks running. Dan Smith quoted that the album reaching number one with competition from the Welsh Rockers, Stereophonics new album ‘Graffiti on the Train’ left him “Completely blown away”, also adding “it’s the most ridiculous thing I’ve ever heard”. After hearing the well known single ‘Pompeii’ I went out and bought the Bad Blood album. After suddenly falling in love with Dan Smiths creative lyrics and soothing voice along with Bastille’s Alternative Rock/Synthpop sound in the popular single ‘Pompeii’ I went out and bought the Bad Blood album. I think this album deserves a strong 7/10 with carefully devised lyrics from Dan Smith and with songs that have meaning and are generally pleasing to the ear. The only reason it’s as low as a 7 is because I don’t think that Bastille are persistent throughout the album. This could be because ‘Pompeii’ sets such a high standard for the rest of the album to match up to. “The heightened sense of immediacy is hard to keep up, but Bastille does it remarkably well, resulting in a debut that’s as infectious as it is dramatically powerful” – Comment by ‘Pop Matters’ music critics. “Mediocre indie synthpop. For the most part, it all seems rather bland with lyrics whose significance I can’t seem to get my head around. Apart from the really pretty, ethereal ballad, Overjoyed and tear-jerking love song, Oblivion, almost all the songs merge into one big, mediocre lump that’s very unmemorable” – A comment made by a listener of the Bad Blood album. This entry was posted in Album Review and tagged Bad Blood, Bastille, Dan Smith, Debut, England, Laura Palmer, London, Macklemore, Pompeii, Pop Matters, Stereophonics, Thrift Shop, UK. Bookmark the permalink. Pingback: Cool New Band. | LOVE MUSIC. MAKE SHOES. 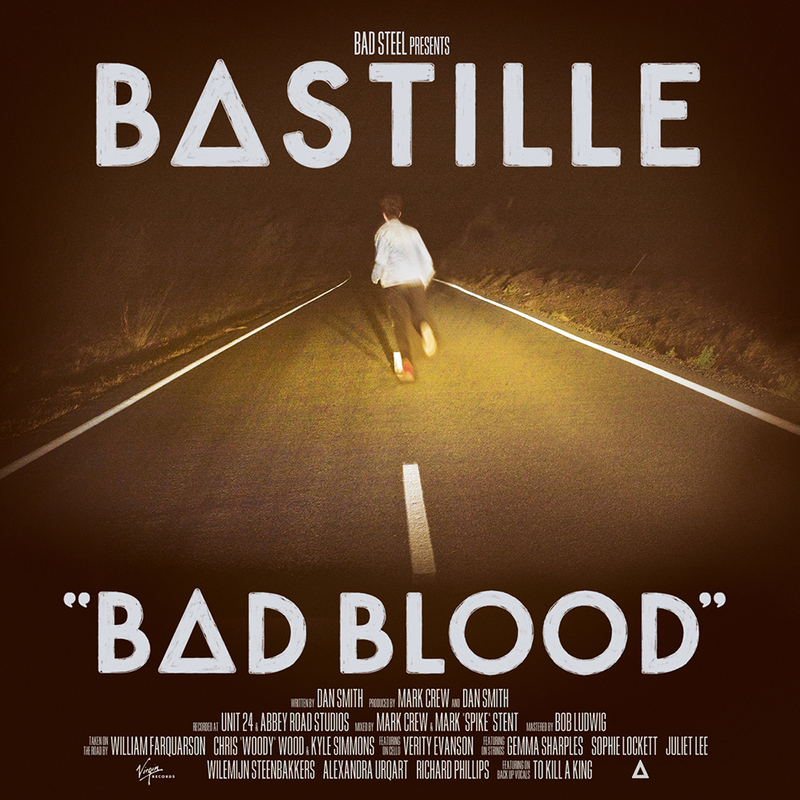 Pingback: Bastille- Laura Palmer | LOVE MUSIC. MAKE SHOES.